The PSCWSU is a non-partisan organization open to all Undergraduate and Graduate students of Washington State University. The purpose of the PSCWSU is to encourage political efficacy and participation amongst all students. 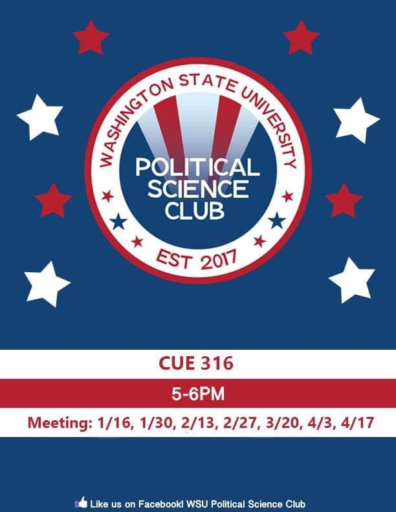 The PSCWSU hosts guest speakers to spark invigorating cross-partisan conversation and political debate, increases informed voters through the discussion of key political topics, and works to facilitate a civilized cross-partisan environment on campus and in the Pullman community. PSCWSU holds regular open meetings for students of all political ideologies to share perspectives on important political issues and current events. Previous discussions have focused on topics such as the government shutdown, free speech and hate speech, Brexit, the migrant crisis at the U.S. border, the Venezuelan crisis, and more! 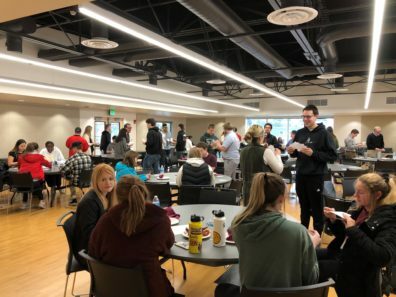 PSCWSU organizes community engagement and membership activities such as co-sponsorship of a student debate with the Center for Civic Engagement on election issues, hosting a BYOB (Bring Your Own Ballot) event to inform students of each candidate and initiative featured in the 2018 midterm elections, sponsoring WSU-Pullman student representatives to attend a conference at WSU Vancouver on facilitating civil political discourse in a polarized society, and much more. The club will be hosting a Political Civility Workshop on March 27 to help students and community members learn techniques to engage in positive political discourse. For more information, please visit www.facebook.com/WSUPoliticalScienceClub or email wsupoliticalscienceclub@gmail.com. PSCWSU Executive Board with workshop guest speakers, David Silva, Dr. Carolyn Long and Dr. Steven Stehr, at the Political civility Workshop on March 27, 2019. 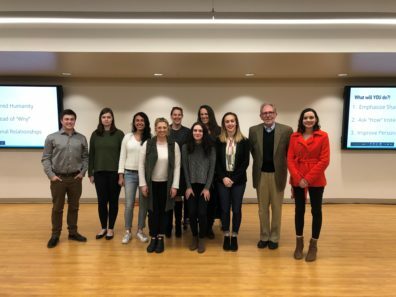 (from L to R: David Silva, Jordan Smith, Sana Nawid, Grace Hendrickson, Dr. Carolyn Long, Caitlin Boss, Dr. Amy Mazur, (club advisor) Sydney Buchheister, Dr. Steven Stehr, and Candace Quinn. Students and community members participating in activities during the Political Civility Workshop on March 27, 2019.